Martin Greig is a writer and publisher, who co-founded Back Page Press. The company claim to publish ‘world-class sports books’, and their track record so far has shown they’ve been as good as their word. Among the books already published are two best-sellers by Graham Hunter – ‘Barca: The Making of the Greatest Team in the World’, and ‘Spain: The Inside Story of La Roja’s Historic Treble’. There is also Stephen Sullivan’s superb biography of Celtic legend, Sean Fallon, while two forthcoming books well worth looking out for are Andrea Pirlo’s autobiography, ‘I Think Therefore I Play’, and ‘Moonwalker: Adventures of a Midnight Mountaineer’ by Alan Rowan. 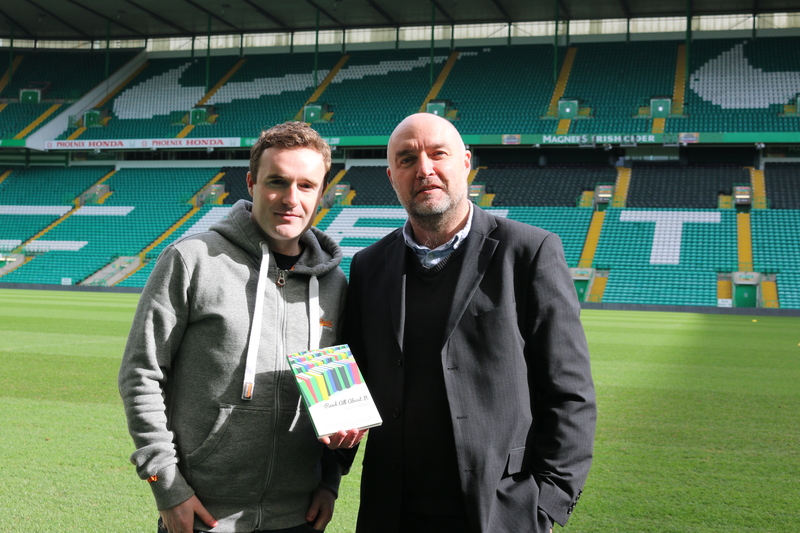 Martin has also written two highly-acclaimed books – The Zen of Naka, a fascinating study of Japanese footballer, Shunsuke Nakamura, who previously played for Celtic, and The Road To Lisbon, a brilliant football novel set in 1967 when Celtic won the European Cup in the Portuguese capital. It’s another fascinating Read All About It podcast, and apologies for any slight sound distortions and strange background sound effects on Part One of the interview. It’s just the wind… and someone working! What began as a great idea to have a chat in the sunshine was curtailed as Glasgow’s famous ‘four seasons in one day’ weather kicked in.